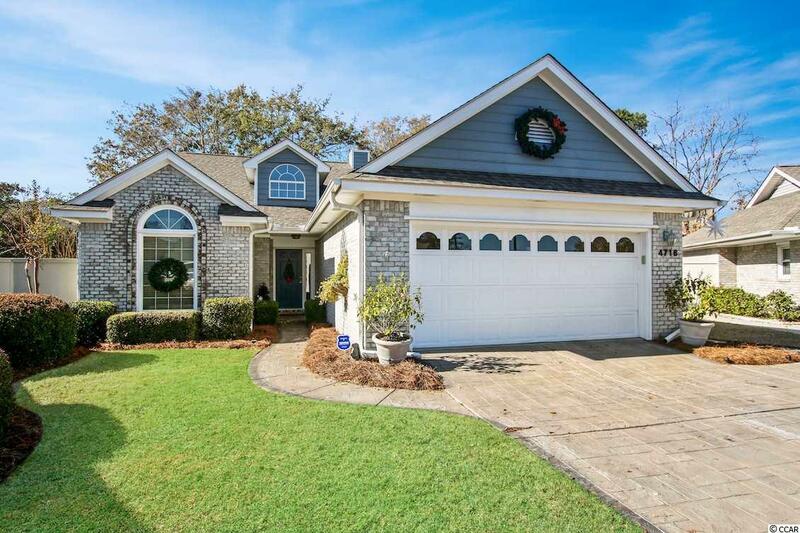 Introducing this sensational front brick veneer 4 bedroom 3 bath home located in the very popular The Park at 48th Ave community which is within the City limits of Myrtle Beach. This spectacular open concept floor plan home, comes with gleaming hardwood, tile & carpet flooring, elegant 2 story foyer & cathedral ceilings, cozy fireplace with gas logs, recessed lighting, ceiling fans, moon light, plant shelve, palladium windows, sliding glass doors opens to the relaxing 4 seasons room, formal dining, breakfast bar, corian counter tops, kitchen cabinets with crown moulding, under cabinet lighting, white on white appliances, built-in microwave, side by side refrigerator with water & ice door dispenser, large pantry, breakfast nook, the master bedroom is on the main level and has a large bump out and vaulted ceilings, master bath comes with step pony wall, vanity with dual sinks, step-in shower, and a jetted tub. 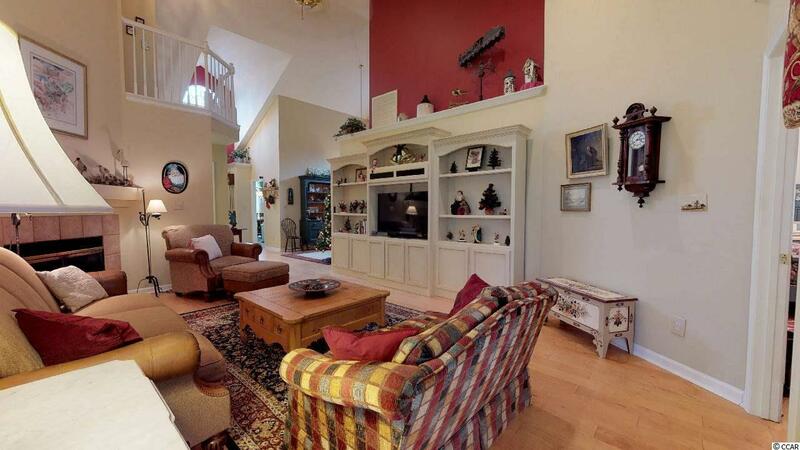 As you venture upstairs and you will find the fourth bedroom and a full bath. Home is completed with laundry room, oversize patio, irrigation system with fresh water & well, 86 gallon water heater, detached shed, hurricane shutters, privacy wall, and a two car over sized attached garage with workshop/bench. 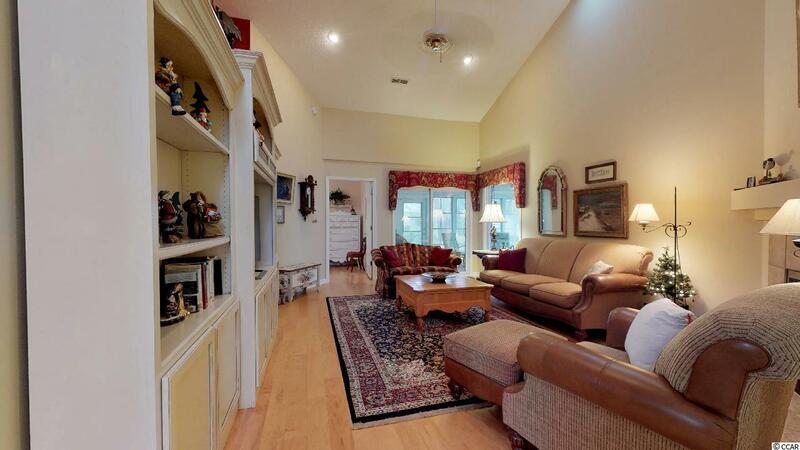 This home provides you close proximity to the beach, all the attractions and amenities of Myrtle Beach, with fine dining, wonderful world-class entertainment, fishing piers, and exciting shopping experiences on the Grand Strand. Just a short drive to medical centers, doctors offices, pharmacies, banks, post offices, and grocery stores. Check out our state of the art 4-D Virtual Tour.